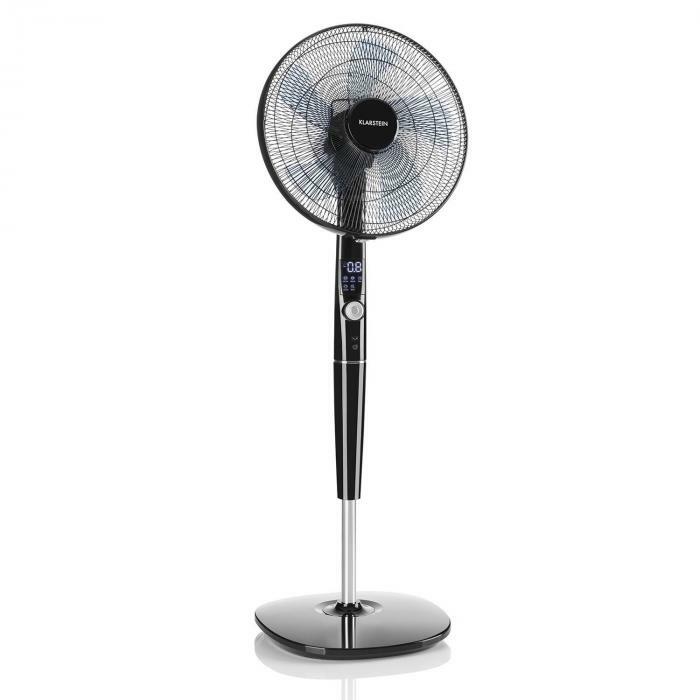 A refreshing storm: With the Klarstein Silent Storm Stand-alone Fan, a change in climate is finally here! 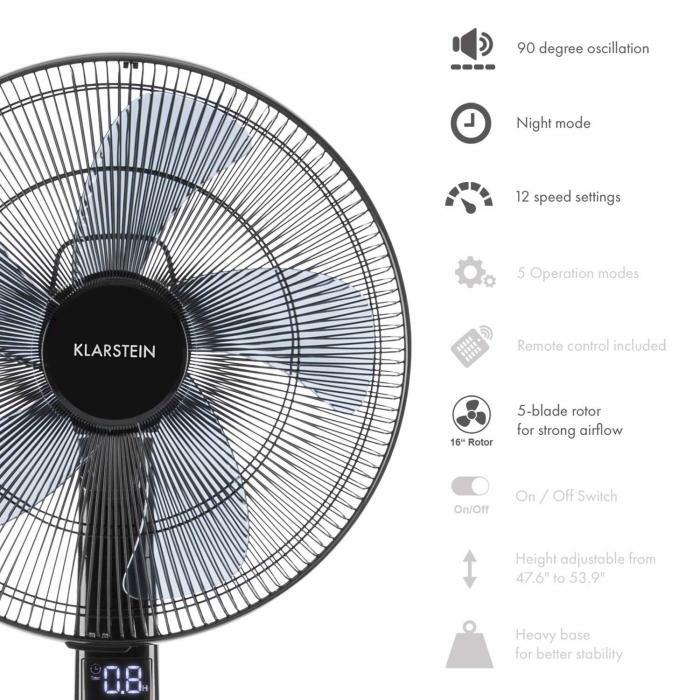 The 16-inch Klarstein Silent StormStand-alone Fan generates a powerful summer weather. Heat waves are over in any room up to 850 ft². Five rotor blades provide a powerful breeze in 12 refreshing stages, that moves sluggish summer air. 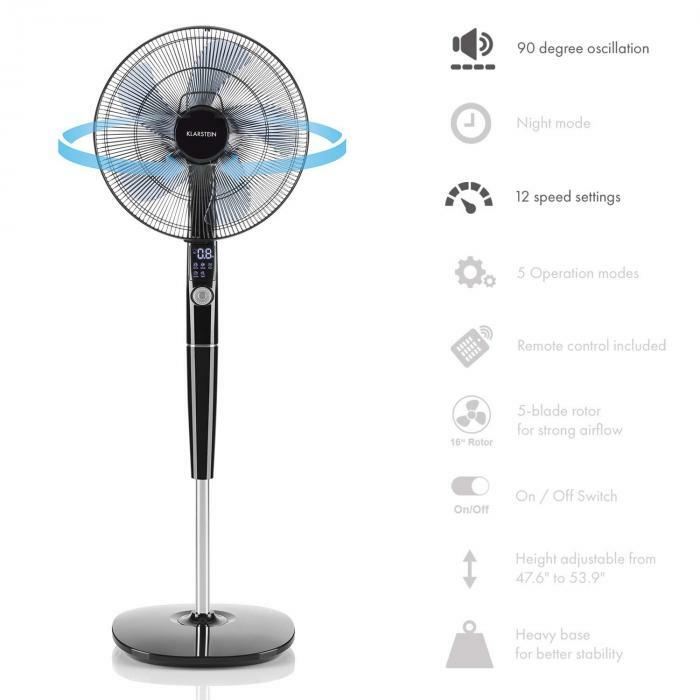 5 ventilation modes, from natural wind simulation to a night mode with auto shut-down, a concentration-promoting quiet mode, to comfort mode, which activates the fan only at temperatures above 68 °F. A 12-hour timer, which can be programmed in 30-minute steps, regulates the on and off timer. 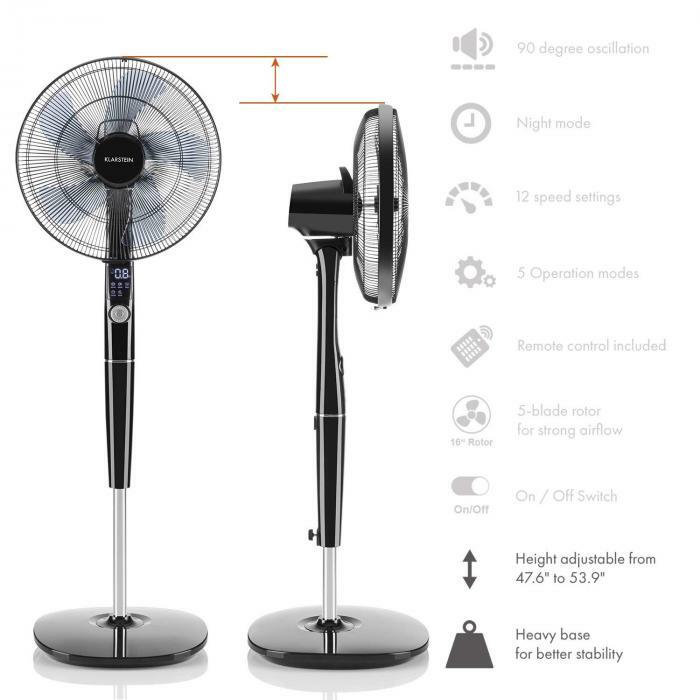 Additionally, to the switchable oscillation of the rotor, also its adjustable height as well as the adjustable inclination angle ensure the distribution of the air flow into all corners. 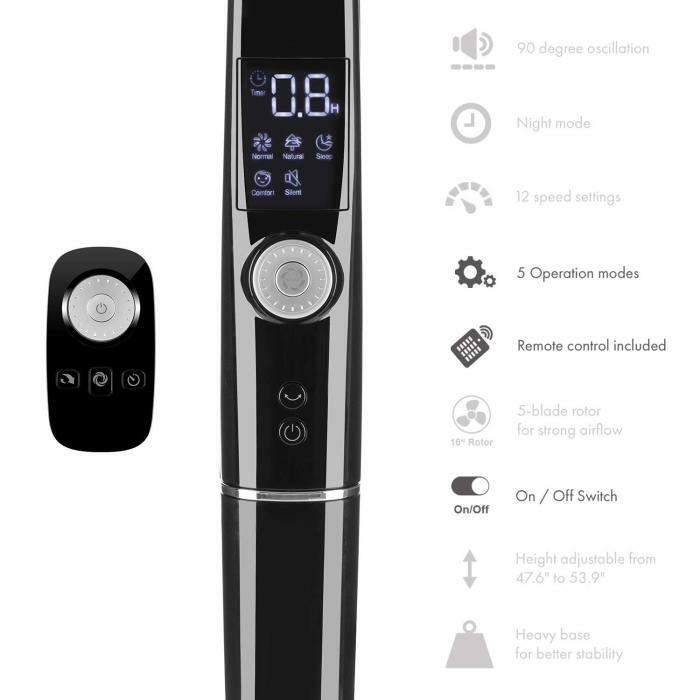 Despite many functions, the operation is surprisingly easy: everything is controlled via two buttons and one setting dial - directly on the device or using the remote control. An LCD display provides a clear overview of the settings. Even at high wind intensities the Klarstein Silent StormStand-alone Fan stands firmly, as it is extremely robustly manufactured and equipped with a tilt-resistant designed round foot. With an extremely economical 35 W energy consumption, non-stop operation during summer is guaranteed.